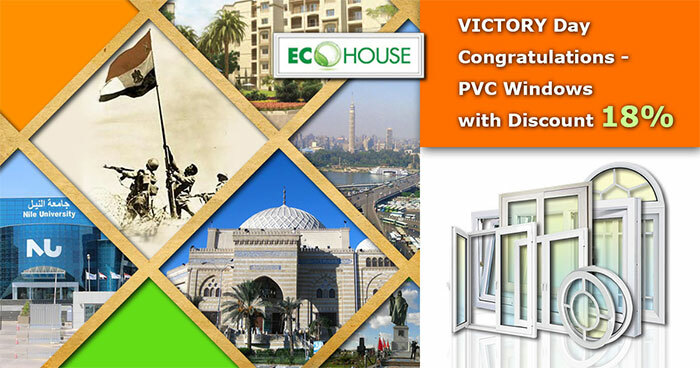 OCTOBER offer: "VICTORY DAY congratulations - discount 18%!" DISCOUNT 18% for WHITE PVC Windows of any type and size ONLY IN OCTOBER 2018! Best quality profile and the best conditions when ordering! *This offer is valid ONLY in October 2018. Completion of order in white profile with any type of opening, any kind of glass or glazing. Order is completed within 40 days. Prepayment when ordering, 85% of the cost. We have already made fifty one steps towards to our customers. And today it's the time for our FIFTY SECOND STEP.